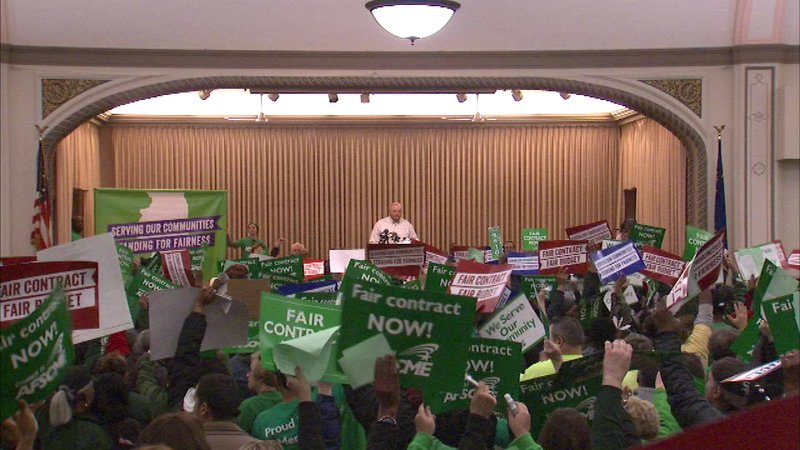 CHICAGO (WLS) -- Unions and community groups gather in a "Rally for Fairness" protest on Chicago's West Side, the first of seven rallies planned this week throughout the state. Organizers are calling on Governor Bruce Rauner to solve the state's budget crisis without restricting the power of unions. Gov. Rauner argues that union reforms are needed to spur economic growth in our state.